A high-ranking Iranian official dismissed as “sheer lie” media reports that Iranian troops have been deployed to Syria, Iran’s official news agency IRNA reported today. Reuters, citing Lebanese sources, had reported that in the past two weeks hundreds of Iranian troops have moved into Syria to join a major ground offensive in support of Assad’s government. The report said the deployed troops were not advisers but a fighting force, and that they will be followed by more troops in the coming days. Note: The Iranian government usually denies deployment of any Iranian forces to Syria. It took them nearly two years to confirm that hundreds of Quds Force advisers were operating in the country. What they've denied in the past and continue to deny are the presence of combat formations, such as battalions or brigades. What they have admitted to are advisors and personnel related to logistical support. We can take exception to that characterization of on-lhand military support in Syria, but with respect the denial of advisors "for two years" is less than accurate. I also don't think they've ever specifically quantified their numbers of advisors as "hundreds." Have been looking for confirmation of what is basically a claim that combat formations of Iranian troops numbering in the hundreds have deployed in Syria to take part in combat operations but have been unsuccessful. Have also not been able to ascertain the identity of the two Lebanese sources the Reuters report is basing its story on. In the past, reports of Iranian combat units (such as battalions or brigades) deployed for combat operations in Syria has turned out false. Perhaps this latest report is genuine but so far open-source evidence hasn't turned up to support the claim. The recent reports on the Iranian troop deployment to Syria are not about advisers and logistics personnel. On past denial of QF advisers in Syria, you can read Marzieh Afkham, the foreign ministry spokeswoman, on the subject on this very blog. She denied the presence of Iranian military personnel in Syria, adding that: “Iran is just extending humanitarian aid to Syria.” And that was in June 2015! I am not saying if the Reuters report is necessarily accurate. I posted Iran's denial of the report, but noted that based on past experience, the Iranian denial does not necessarily negate Reuters report. 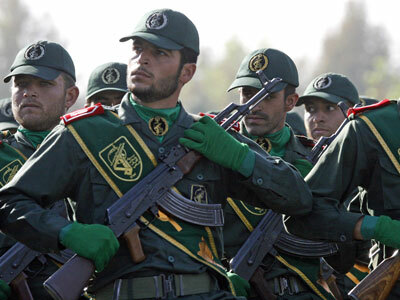 I believe it would be a mistake if Iran, and Russia, send ground combat troops to Syria. The move would deepen the sectarian divide in the country, pitting Russia and Iran against the Sunni world. They should not expand the conflict beyond advisers and airstrikes but work to bring a negotiated settlement to the conflict. The alliance of Russia, Iran, Hezbollah/Shia militia might score immediate victories on territories on or near the coast, the traditional Alawi home, and that could save Assad's stronghold, but expanding the fight to other parts of the country would be a trap for them. All sides should realize that this is a protracted war with no prospect of an all-out military victory by any side, and it's high time for a negotiated end to the hostilities. hello again, There is a contingent of several thousand Iraqi, Afghani, Pakistani and Syrians that have been in training in Iran mostly around the Shiraz. This is a kind of open secret to a point that I was made aware of it over a year ago, I am not in the know, yet I knew thru friends. One of Iran's officials announced a few months ago that Damascus was not in danger and there will be huge changes in Syria before the year ends, I'm guessing this is what he was talking about. Nader I don't think that normal sunnis are friends with Isil. And normal sunnis wish also that Isil comes to an end. No normal Muslim or even Christ can accept the Isil wahabi theology. Extremism and terrorism, in the name of Islam or otherwise, is by definition abnormal and not acceptable to civilized people regardless of their religious beliefs or lack of. So of course ISIL does not represent Sunnis, as Shia extremists do not represents Shias. The point, however, is that the three current wars in the region, in Iraq, Syria and Yemen, are increasingly becoming sectarian conflicts and hitting Nusra and ISIL-type extremists in Iraq and Syria should be balanced by paying attention to the grievances of the Sunni populations in those countries and support for active Sunni representation and participation in the political process. In Yemen, the reverse is true, and we do need an active participation of Shias in the government, and opposing the Houthi coup should not negate a negotiated settlement whereby all political parties, including the Houthis, participate in the political process. My worries are for long term. Sectarian conflicts and religious wars can be started easily in today's charged atmosphere in the region. But ending them is difficult. The current conflicts in the region could take years even decades to be settled peacefully. The example of Ireland should be on our minds. It took more than three decades for the warring parties to agree to a peaceful settlement that was available to them on Year One of the conflict. Yet three decades of carnage and killings followed needlessly. In Middle East, these are the worst times in modern history when it comes to sectarian conflicts, and strong will and cooler heads are needed to end them now before it gets into another 30-year war.